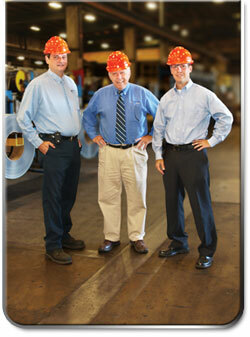 Steve Clingan, president of Clingan Steel, has always done things a little differently. He carries a more varied inventory than most steel service centers because he concentrates on filling specialty orders for his customers, not making high-volume sales. "The key reason our customers come to us is our diverse range of products," says Clingan. "We have a wide variety of equipment designed to perform specialized processes, as well as lots of unusual steel grades in our inventory that not many of our competitors can offer. This ability to provide special processing is what has kept us going in tough times because we are able to maintain satisfactory gross margins. Even though we had a 40 percent sales setback in 2009, we did not lay off a single person. We are now ahead of where our sales were before the recession." Clingan began his career in 1962 as a sales representative for various steel mills, then purchased a steel distributor in 1983. He sold the company in 1988 to an industrial strapping manufacturer, but took the opportunity to buy it back in 1994 after it ran into difficulties. Clingan built the company back up into a successful strip steel service center by carving out a niche in special services such as edging, skiving, precision cut lengths, traverse winding, cold rolling and reduction, and custom tempering and decambering. 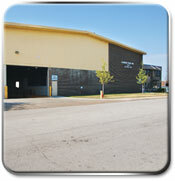 In 2004, Clingan Steel consolidated its operations to a 120,000-square-foot facility at 2525 Arthur Avenue in Elk Grove Village. Here, 90 employees including Clingan's sons Doug, David, and Rob provide a variety of strip steel products to approximately 500 customers nationwide as well as Mexico and Canada. 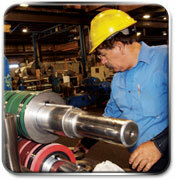 A broad range of industries including automotive, agriculture, defense, and construction use Clingan Steel's products. 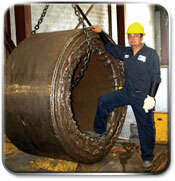 Clingan Steel also prides itself on its innovative use of green energy efficient technology. This includes three wood-burning, emissions-free furnaces, which provide heat by burning wooden pallets, skids and other scrap wood; 24-foot fans to distribute both warm and cool air; thermo-pane windows; and high-output fluorescent lighting which provides improved lighting with 60 percent less energy consumption. Clingan Steel is also considering the installation of a rooftop solar electricity system, which will be one of the largest such systems in Illinois. 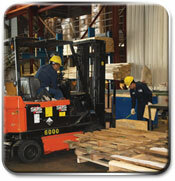 "It is nice to be green and also make our plant a better place to work. We estimate that this technology saves us $25,000 a year in heating costs and $3,500 in waste disposal charges," says Tom Bulwan, Clingan's general manger, "and eventually we'll recover our investment." Bulwan confirms, "We plan to be here for a long time." "We have really enjoyed our eight years in Elk Grove and look forward to being a permanent resident of a highly professional well run town," says Doug Clingan, sales director. The location is perfect for our market, both now and in the future," says Clingan.